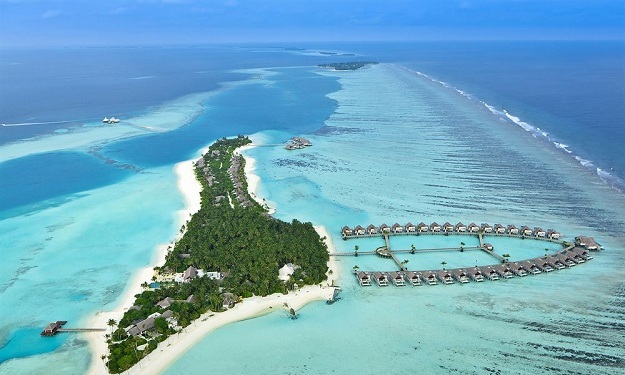 Surrounded by the crystal blue wonders of the Indian Ocean, this superb all-villa Maldives resort offers an unrivalled level of style, choice and personalised exploration. 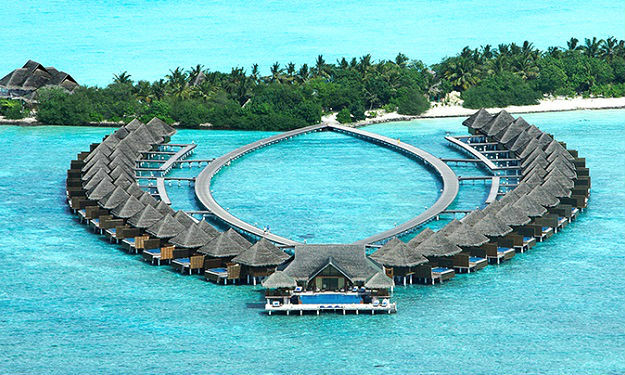 Sleek and spectacular, with unprecedented privacy, One&Only Reethi Rah inspires extraordinary journeys for the soul. Set on one of the largest Maldivian islands in North Male' Atoll, adorned with endless white sand coves and turquoise bays, all villas enjoy beautiful ocean views and direct access to the lagoon. 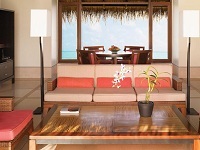 One&Only Reethi Rah offers the ultimate holiday experience to those seeking the pinnacle of tropical Maldives luxury. 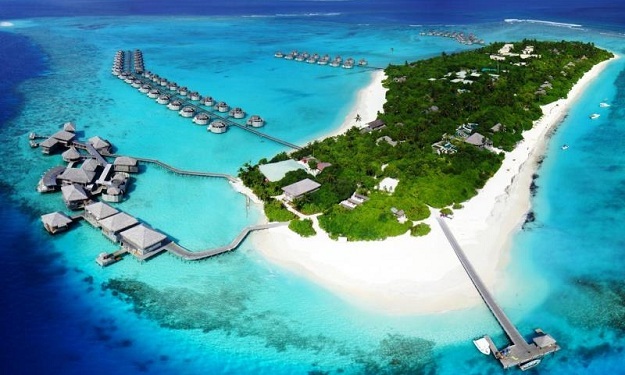 Nowhere else in the Maldives is there a resort with this much space and exclusivity. Occupying their own stretch of sandy shore, these villas afford direct views of the ocean and access to a private beach. 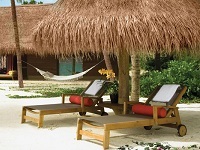 Decor is sleek with clean lines, a perfect foil for the tropical wood and thatch exteriors. Large verandas with picturesque outdoor seating areas and sun bed, external showers for after sun refreshment, and comfortable, spacious interiors provide for an indulgent getaway. A daybed shaded with some of the most beautiful tropical trees, a lovely outdoor dining area and a soothing private swimming pool make this villa a favorite for many. 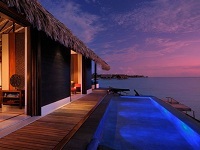 Living in a beach Villa with pool is truly an amazing experience. 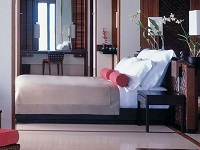 It is equipped with both, outdoor as well as indoor shower facility. Ideal for families, Duplex Beach Villa Pool consist of two Beach Villas, five metres apart, joined by an external walkway. 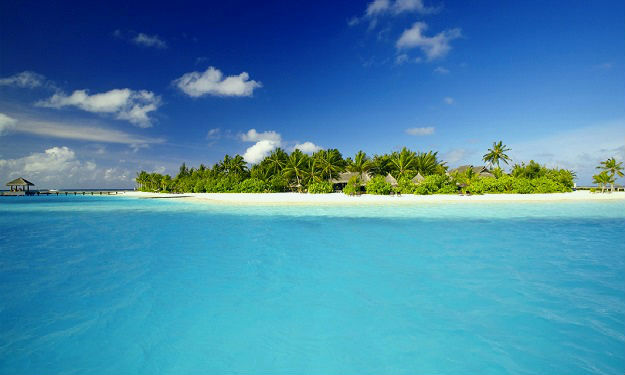 An expanse of private shoreline stretches directly onto the white sand and inviting waters of the beach. 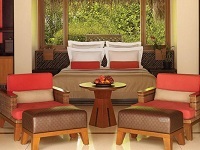 One villa features a King-size bed, the other offers two Queen-size beds. 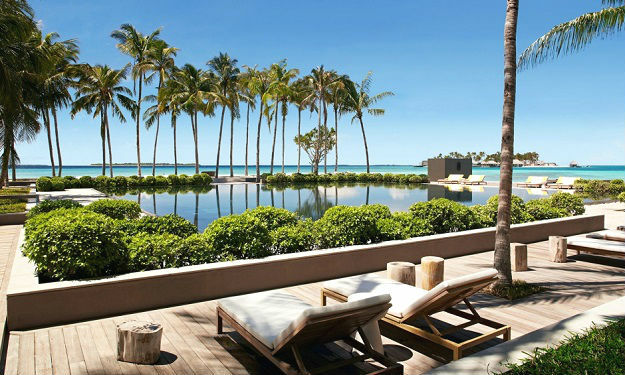 The Duplex Beach Villa Pool are screened by abundant greenery, offering as much – or as little – privacy as required. Each has an outdoor shower and veranda, and the 23m²/248ft² pool is shared. 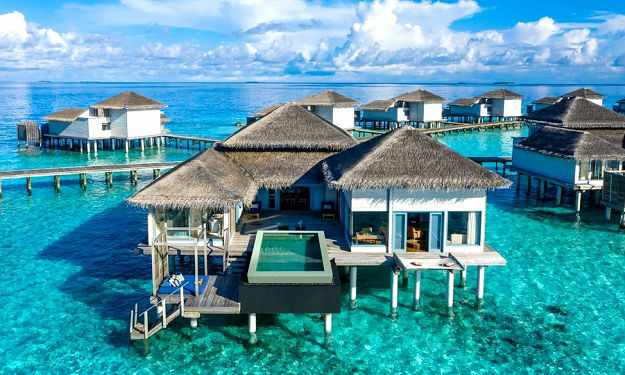 Every water villa at the One&Only Reethi Rah resort is connected to some of the most secluded areas on the island with the help of walkways. Hence, this gives you the perfect opportunity to go for a walk with your loved one through the lush green tropical gardens. 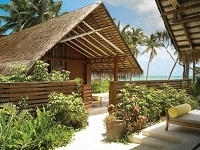 The villa has an outdoor terrace which offers a picturesque view of the Indian Ocean and the lagoon as well. 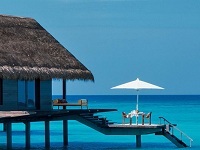 The villa also has a veranda with steps leading directly into the water. Surrounded by spacious decks and wraparound hammocks suspended over the water, this villa is set on stilts and features an infinity pool, open-air spa pool and platform with sun beds. Also includes separate dining and seating areas and spacious. One&Only Reethi Rah’s largest villa, with over 2000m² of private beach front luxury the Grand Sunset Residence is nestled in the island’s natural greenery and has the largest private stretch of beach. A private road leads to this unique Residence which is closed off by an electronic gate for even more tranquility. Guests can easily find their way around the Island's 44 hectares with the two exclusive four-seater golf carts provided. With three bedrooms, sleeping up to seven guests, the new Grand Sunset Residence is exceptionally spacious, offering a private 50m² swimming pool and unique outdoor living and dining area in which they can enjoy meals prepared by their own private chef. 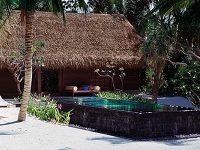 One&Only Reethi Rah Resort house a state of the art spa. The luxurious island spa retreat is a place where all your stress and tension would dissolve within minutes. The spa gives you an opportunity to succumb to the skill and care of the experts and therapists. These experts are highly trained in ancient healing theories and philosophies. They are also more than aware about the modern day science. Hence, the spa creates a perfect fusion of modern techniques along with ancient beliefs. 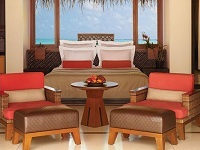 You can also enjoy the beautiful view of the Indian Ocean while experiencing one of our soothing treatments. 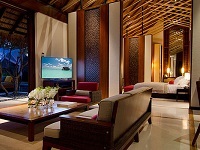 One&Only Reethi Rah Resort Spa has crystal steam rooms, swirling pools, stimulating ice fountains and state of the art saunas. 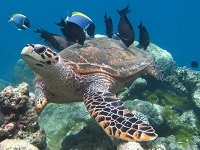 Excellent visibility and extraordinary coral reefs make this the ideal place to explore the teeming underwater world. Gentle seas and drop-offs encourage beginners, while certified divers are free to roam some of the world’s most rewarding waters. A PADI dive centre is run by experienced, multilingual staff and offers certifi cation courses, nitrox, rebreather and night diving expeditions. A wide range of complimentary water sports is available including canoes, kayaks, pedal and paddle boats, snorkelling equipment and windsurfing boards. 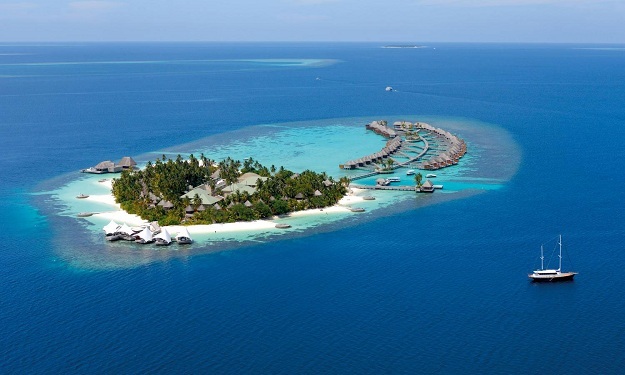 If desired, the resort can also arrange paid-for guided scuba diving excursions, deep-sea fishing trips, catamaran sailing, parasailing, water-ski, wake boarding and banana and tube rides. Sunset sandbank experience: Experience the thrill of visiting a private deserted island, surrounded by the crystal clear waters and coral reefs of the Indian Ocean. Snorkel in the unbelievably warm sea, and discover an abundance of marine life: a multitude of colourful fish, manta rays, barracudas and even turtles. 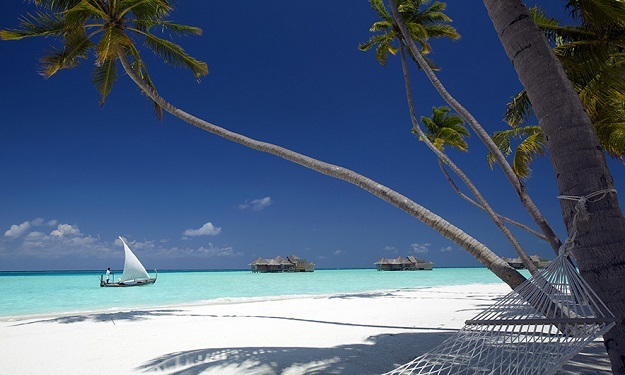 Drinks and snacks will be served on the sandbank, perfect for sunbathing and admiring a spectacular sunset. Traditional Dhoni sunset sailing: Enjoy an evening cruise on the traditional sailing Dhoni, an ideal activity for families, couples and groups of friends. The crystal clear waters of the Indian Ocean are teeming with playful dolphins. 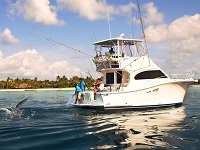 A highlight of the trip is the glorious sunset seen from the comfort of a private Dhoni. Refreshments served onboard. Local island experience: During a visit to a neighbouring local island you will be able to gain insights into the local culture and Maldivian way of life. A member of the friendly recreation staff will be on hand to personally show guests around. Wandering about the island, guests may catch a glimpse of locals building their traditional boats and children at play, with the opportunity to visit the shops for local arts and crafts. There will be plenty of time afterwards for snorkelling, swimming or simply soaking up the sun. 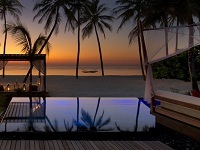 At the end of the day, watch the sunset on the horizon of the great Indian Ocean. 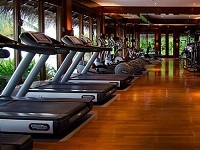 Equipped with state-of-the-art cardiovascular training equipment and resistance machines from Kinesis™ and Technogym. These include steppers, exercise bikes, gradient machines, free weights, running machines and more, all available with personalised training. A superb Tennis Club has two floodlit synthetic grass courts with pros available as instructors or playing partners. 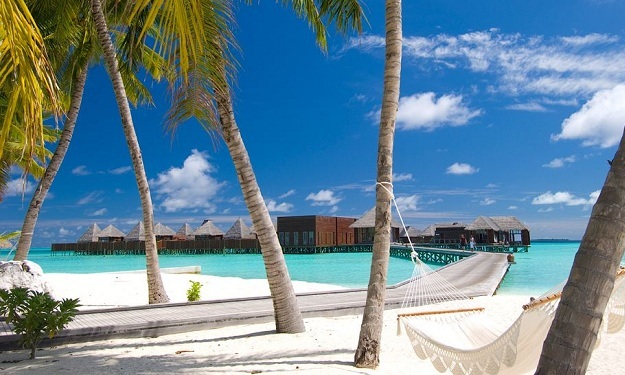 Guests can also play beach football or volleyball, badminton, table tennis or bowls. There is a jogging track and plenty of bicycles to explore the island. As with all visitors' marriages in the Maldives, these are ceremonies of blessing rather than legally binding weddings. 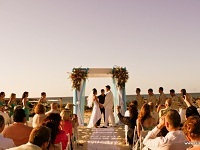 Ceremonies take place on one of the resort’s 12 pristine white sandy beaches, down a petal-strewn ‘aisle’ towards the sea, while the tropical sun sinks into the depths of the sea and the sky is filled with breathtaking pastel colours. After the ceremony, as night falls to reveal a million glittering stars, a romantic candlelight dinner awaits on a private beach. A stunning table, prepared using natural local materials including the island’s signature orchids, serves as the setting where a special souvenir menu created for this most memorable occasion is presented by a private waiter. Every event is tailor-maded to match the desires of each couple, whether travelling alone or celebrating with family and friends. An extensive villa dining menu is available 24 hours a day, and includes such treats as personal beach barbecues. A team of Villa Chefs is on call to create exquisite menus for dining in privacy. 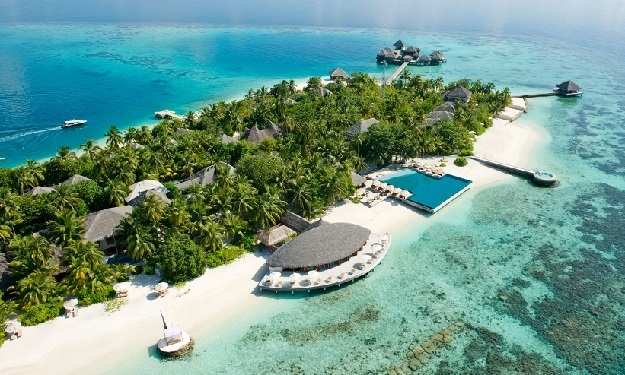 One&Only Reethi Rah has an all-new venue that is open for lunch. Guests can enjoy the freshest selection of salads, seafood, grills and an unbelievable view across the turquoise lagoon just steps away from their sun bed. 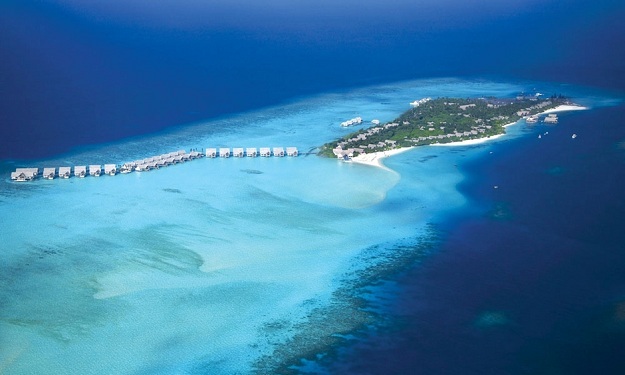 The Beach Club adds to the already impressive choice of dining at One&Only Reethi Rah. This inspiring outdoor restaurant allows guests a truly unique "garden-to-table" al fresco dining experience in Reethi Rah, set amidst beautiful organic vegetables, herbs and famous Orchid Garden back drop. 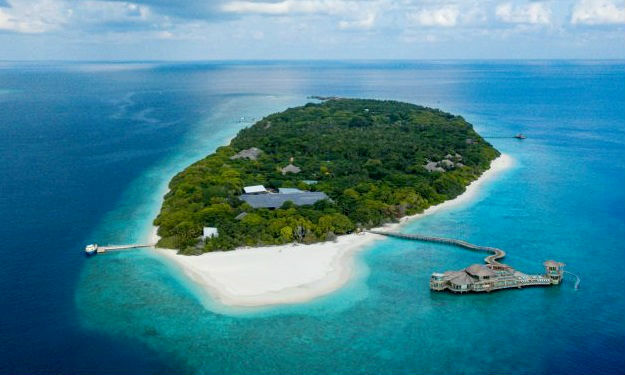 Hidden on the northern tip of the island is the sensual Fanditha. This exotic, beachside spot serves an a la carte Arabian cuisine – accompanied by the finest selection of chilled rosés and champagnes. 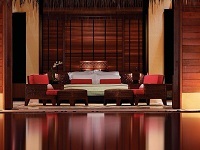 At the lounge area, guests may laze on divan-style bolsters and Arabic carpets, on bamboo loungers or in woven hammocks. On selected evenings, there are late-night parties under the stars with live DJ entertainment, creating a chill-out ambiance amidst chandeliers dangling from trees. Features contemporary Japanese cuisine with a modern twist served in tapas-style small portions and a selection of innovative sake cocktails to go with it. Regular deliveries from around the world ensure that Tapasake’s sushi and sashimi meet the highest standards whilst a contemporary twist brings fascinating innovation to a variety of dishes that can be conveniently sampled in small portions. Naturally the restaurant also serves traditional Sake and features a wine list that revolves around an exciting collection of Riesling and Pinot Noir wines, complementing the food particularly well. Swimmers and sunbathers needn’t move far from the main pool to partake in the amazing menu at the adjacent Rah Bar. An all day menu of healthy salads, wraps and snacks also offers low-fat smoothies made with exotic fresh fruits and vegetables, a variety of waters and a fresh juice station. With the fall of evening, Rah Bar is transformed into a vibrant cocktail bar with live music, cool martinis, tropical cocktails, sparkling champagne and a fine collection of vintage rums from the Indian Ocean and Caribbean islands. 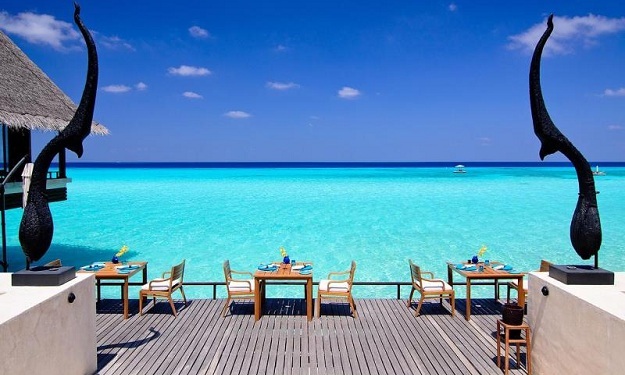 A temple of exquisite dining, the dramatic design of Reethi Restaurant frames the natural beauty all around and the stunning cuisine, impeccable service and low-key ambience within. An eclectic menu fuses flavours from Asia Pacific and the Mediterranean into a light, contemporary cuisine. Floor-to-ceiling glass screens reveal the ‘open-concept’ show kitchen, and a walk-in wine room with an extensive collection doubles as a private dining room for special events.